With so many brands competing for market share nowadays, modern retail outlets cannot only be focused on direct sales. To ensure that customers return, something needs to be different – the experience and customer service need to be better than the many other shops that offer the same products. Here are three stores that do just that. 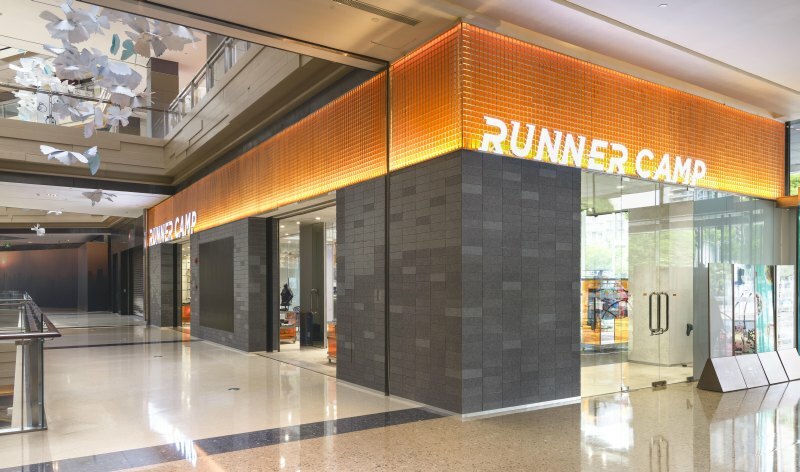 Apart from just selling shoes and running gear, the Runner Camp flagship retail store in Shanghai was designed to provide shoppers and fans of the brand with an urban athletics experience. 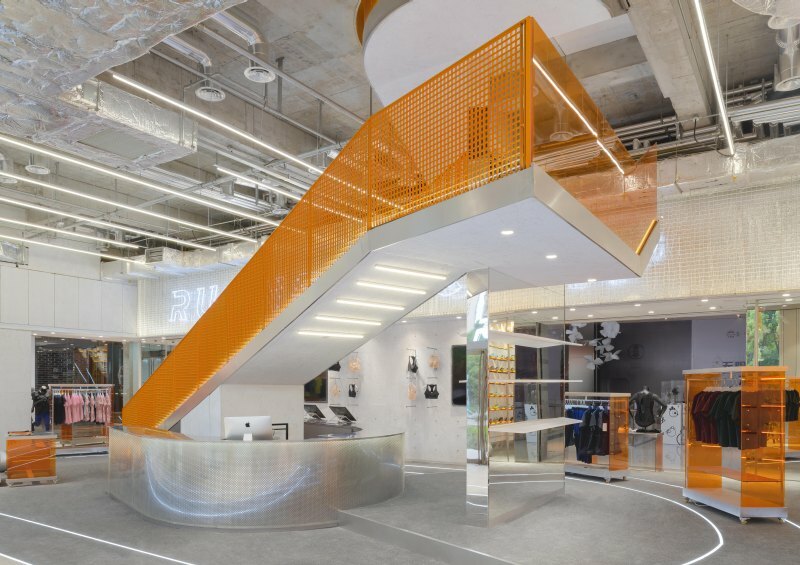 While the first floor of the shop is mainly used for apparel display and selling, a ramp and spiral staircase connect it to the multifunctional second floor, which offers exercising space, interactive LED screens and a shower and locker room for members. The store also offers an in-house shoe analysis system that looks at how customers run and consulting services on which type of shoes will fit their running style best. To create an urban industrial look, Prism Design in collaboration with Office Coastline selected materials such as the grating metal grid, acoustic fibre board, heat insulation as well as concrete that were used for the walls and stairs. Interestingly, the metal grids, which are usually applied as drainage coverage, were installed as flexible display units that can be moved around when the store arrangement changes. Bringing in a fashion edge, they opted for orange acrylic, tempered glass, stainless steel, clear mirrors and frosted metal boards. The orange colour was inspired by runners exercising at dawn or dusk. And to get into the run from the get-go, a rubber roll floor was installed, with LED floor line lights. Designed to achieve an organic, relaxing feel in an artificial environment, the 60m² rectangular space of Lily Nails Salon in Fulllink Plaza, Beijing, seems to be embedded in a “hill” that gradually rises from the outside to the inside of the salon and forms “caves” of varying sizes. The “caves” used for manicures contain two or three seats, while other beauty treatment spaces are more enclosed to ensure privacy. The space between the “caves” is used for display racks, storage and service rooms. To create the “caves”, Han Wen-Qiang from Archstudio specified 1,5mm thick brushed stainless steel plate together with a soft grey carpet for a grey-toned look. The “hilltop” is painted white, integrating with the walls and bright ceiling. The ceiling is made of soft membrane printed in flower patterns of different densities to direct indoor light. 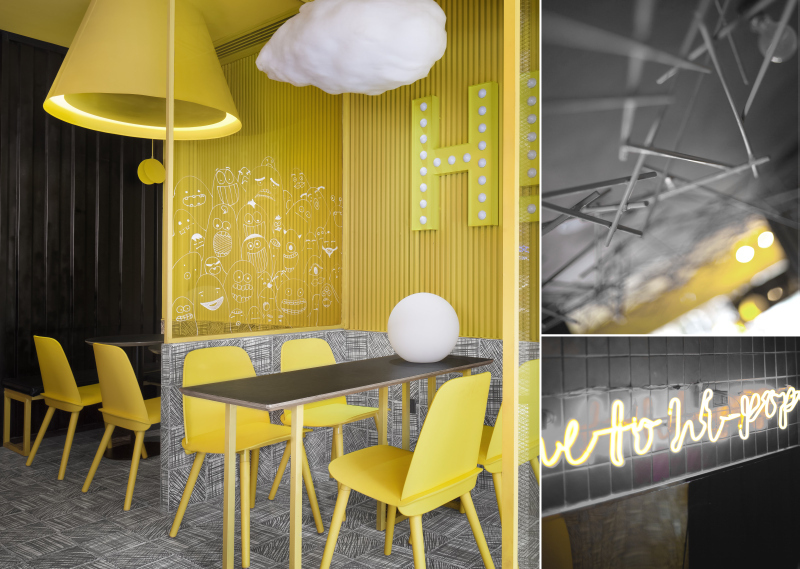 Situated on a quiet street in an old neighbourhood, Construction Union had to come up with an innovative design that would bring the target market of fashionable youths to the HI-POP Tea concept store in Foshan, China. Their idea was to create a fashion store that integrates old memories of the cool feeling when drinking carbonated soft drinks – one of the biggest satisfactions experienced as a child. The interior of the rectangle space features two boxes – a yellow one and a black one – which are connected by a decorative element reminding of straws, on the ceiling. The straw decoration extends from the entrance into the back of the space, just like the burst of taste and texture when drinking a soft drink. The floor and walls are decorated with encaustic tiles with sketch patterns, reminding visitors of doodling circles on paper during boring school days, as well as fun, edgy monster dolls on glass elements and the washroom door. The atmosphere keeps customers’ spirits up and subconsciously increases customers’ eating speed. Guest flow of the store is increased in this way, and the overall design fits the business operating mode of a modern food and beverage space. Full thanks and acknowledgment are given to Prism Design, Archstudio and Construction Union for the information and photos provided.